We were amazed when we found out that you can pop things other than corn. I mean... just completely amazed. The back of a Bob's Red Mill package informed us that you could indeed pop sorghum, as well as some other things too. 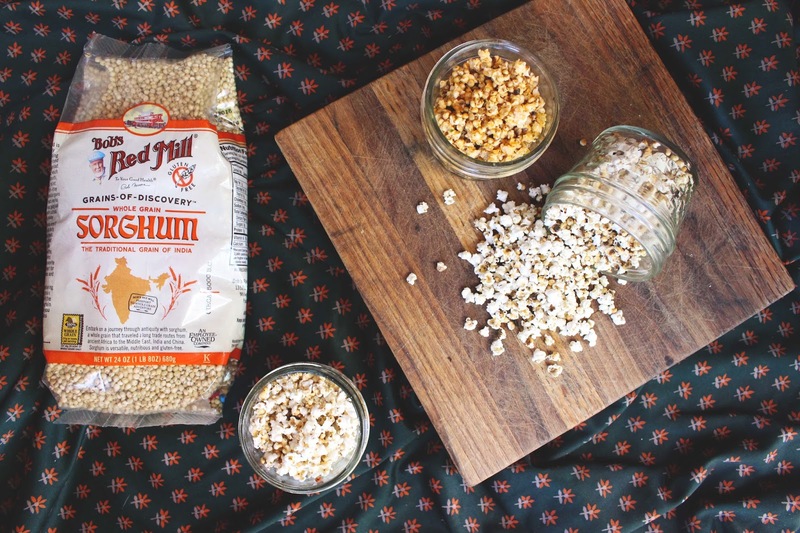 Popping sorghum is delicious and it looks like mini-popcorn so it's a win-win obviously. To me, it tastes pretty much just like popcorn. Now don't get me wrong, I absolutely love popcorn, but there are a few things about popping sorghum that I like better. For one, the unpopped pieces aren't going to break your tooth in half. Secondly, when adding butter after you have popped it, each piece gets coated so evenly because it is so much smaller, and it doesn't get as soggy. For a quick snack, I just pop it in oil and add salt! No additional butter needed. 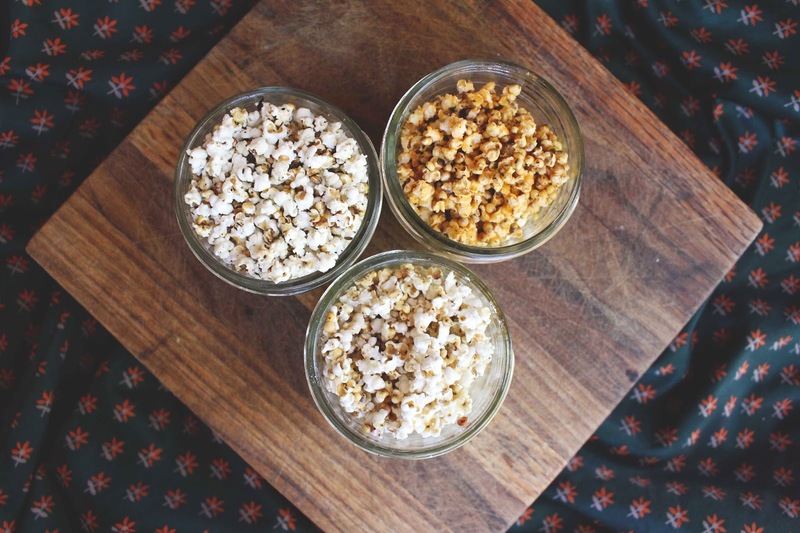 But today, we are bringing you three different topping solutions for your popped sorghum. We created a Buffalo Ranch Popped Sorghum (my favorite), Herbed Popped Sorghum and Key Lime Popped Sorghum (Casey's favorite.) They are all super simple too! To pop sorghum- Heat a pot over medium-high heat. Add 1 Tbs. oil and 1/4 cup sorghum and cover immediately. Shake pot every now and then so the sorghum doesn't burn. When popping slows, pull the pot off the heat and open the lid when it has stopped completely. 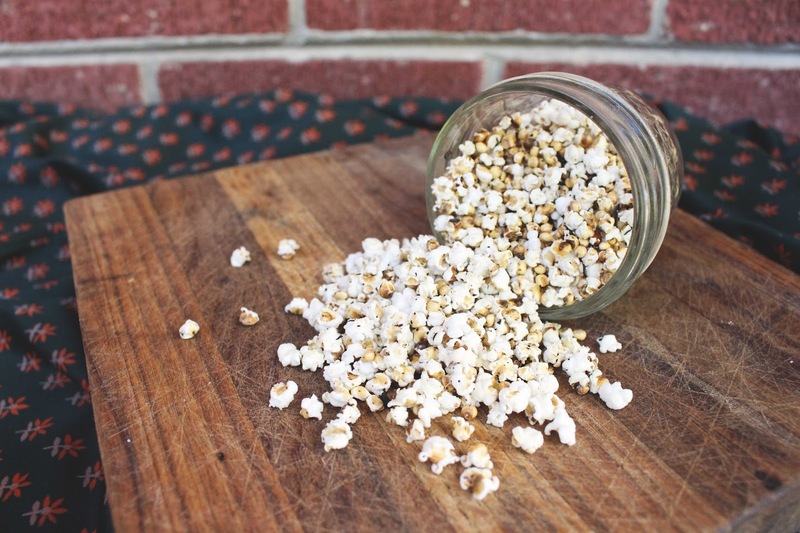 For Buffalo Ranch Popped Sorghum- Mix together 1 Tbs. melted butter, 1/2 tsp. ranch dip mix and 1 tsp. hot pepper sauce. Drizzle over popped sorghum. For Herbed Popped Sorghum- Add 1 tsp. herbs de provence to the oil in the pot before popping. When sorghum has popped, sprinkle with salt and freshly cracked pepper. For Key Lime Popped Sorghum- Mix together 1 Tbs. melted butter, 2 tsp. lime juice and 1 tsp. powdered sugar. Drizzle over the popped sorghum and sprinkle with powdered sugar as you desire. Another good thing about the size of popped sorghum is that you can just pour it into your mouth. I'm not saying that that happened. I'm just saying... it's possible. I definitely need to try out the key lime popped sorghum it sounds SO good!!! Did you know you can pop wild rice, too? It's one of my favorite snacks!